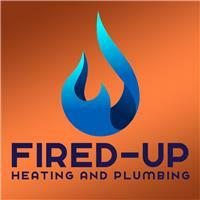 Fired Up Heating & Plumbing - Central Heating Engineer, Plumber based in Southwick, East Sussex. There’s nothing we don’t know about heating. No hard sell, just honest, impartial advice. We have hundreds of great reviews from happy customers. You can always get hold of us. We turn up on time, every time. We are friendly, approachable and we’ll be there when you need us most. We can’t always plan for those unexpected expenses and whether it’s a boiler repair, boiler replacement or full central heating systems we can help spread the payments, we can offer finance on all of the work we undertake. We know the last thing you want is any little surprises. Therefore we ensure our service is completely transparent. That means upfront quotes, no hidden fees and no obligation to commit if your not 100% satisfied. And because customer satisfaction is extremely important to us, we ensure our team is on hand to answer your questions with unbiased advice – which is simple, as we are not tied to any manufacturers.